A Carnet du Passage will be required for some parts of the African trip. A Carnet is a bond/deposit on your vehicle that deters you from selling your vehicle. Some countries (not all) are afraid that a traveler might sell his vehicle within their borders without paying tax, so they either require a traveler to pay a hefty tax (often much x times the value of the vehicle), or show a Carnet. You pay a Carnet issuer a deposit/bond (~EUR 5000 for our motorcycles), and they give you the Carnet booklet. When you enter a country, you get an entry stamp, and then an exit stamp when you leave. At the end of your journey, if you have the entry and exit stamps for all of the Carnet countries, then the issuer will give you back your deposit. We still haven't found a Chinese company that can issue Carnets yet, but Swiss and British companies claim they can issue for Chinese bikes as well. 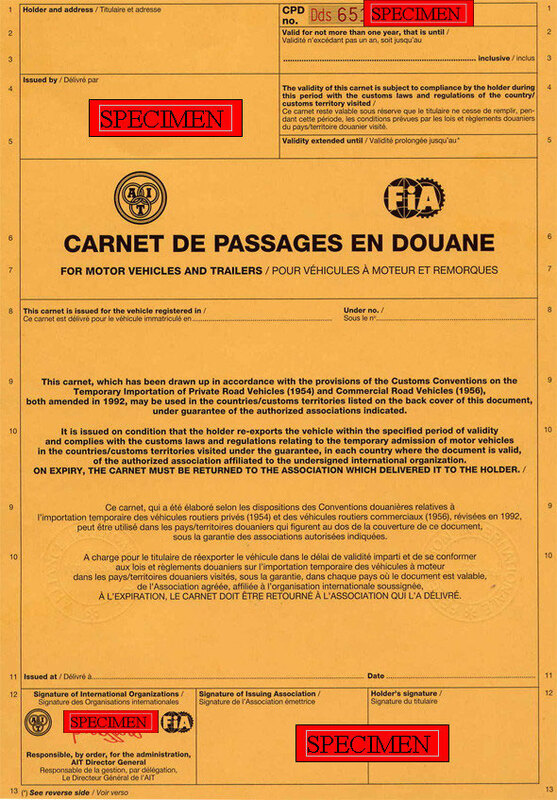 Carnets are required for countries in orange, and recommended for countries in yellow.